"Allah Akbar" is a common phrase that is heard a good half of humanity. Largely thanks to the media and the Internet this expression is associated by many people with Islamic militants, so the attitude is rather negative. So what does "Allahu Akbar" really is and when it is appropriate to use this expression? When it comes to the phrase "Allah Akbar", we should make two remarks. First – the correct pronunciation and spelling looks like "Allahu Akbar". The second sentence is called "Takbir". The latter can be translated as "exaltation". In Islamic culture it can be compared with the glorification of Allah over the whole world. "Allahu Akbar," consists of two words. The first translation is not needed. 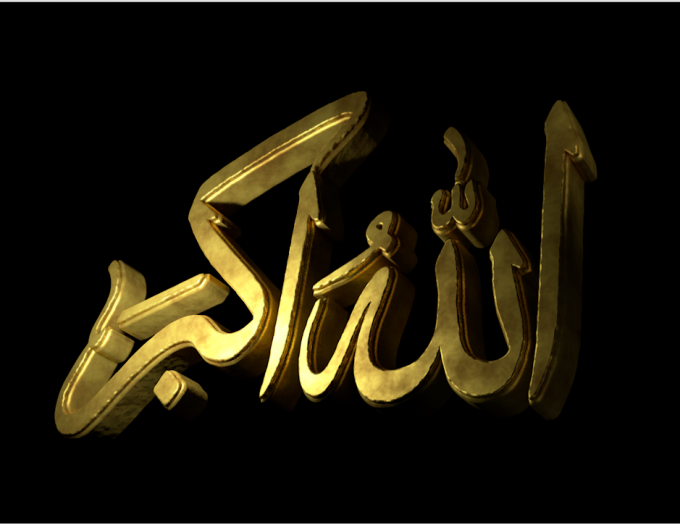 Allah is taken Muslims a symbol of God. However, it should be noted that some researchers prefer to combine both values, and other scholars of Islamic culture claim that Allah and God are two different entities and an equal sign between them can not be. But this issue does not affect the essence of the phrase. The second part of the phrase – "Akbar is the comparative/superlative degree of the adjective "Kabir", which can be translated as "senior" or "more important". In this phrase it is more logical to assume that the word means "greatest" or "most great". Adding both parts, we can understand that the literal translation sounds like "Allah is the greatest of all". The cases in which the use of "Allahu Akbar" is appropriate, are very diverse. In Islamic culture this phrase can be found almost anywhere. In the European consciousness expression fixed for the Muslim military, who go into battle, shouting this phrase. This has some truth, as "Allahu Akbar" really used by warriors as a battle cry, which means righteous anger, directed at the enemy. But more often, the expression means joy and reverence before God. Therefore, the frequent repetition of phrases is a characteristic feature of the Muslim cult. During the holidays (namaz, azan, Eid al-Adha, etc.) people many times say this sentence in order to Express their respect and admiration for Allah.